The Ride the Lightning Tour was the second tour by American thrash metal band Metallica, supporting their second album Ride the Lightning . A concert tour is a series of concerts by an artist or group of artists in different cities, countries or locations. Often concert tours are named to differentiate different tours by the same artist and to associate a specific tour with a particular album or product. Especially in the popular music world, such tours can become large-scale enterprises that last for several months or even years, are seen by hundreds of thousands or millions of people, and bring in millions of dollars in ticket revenues. A performer who embarks on a concert tour is called a touring artist. Tank are a British heavy metal band, formed in 1980 by Algy Ward, a former member of The Damned. The band is known as part of the new wave of British heavy metal movement. Tank was often compared to Motörhead as both bands, trios fronted by singing bassists, played a loose, almost punk-styled metal music with often colourful lyrics. Armored Saint is an American heavy metal band, formed in 1982 in Los Angeles, California. Since 1990, the band has consisted of John Bush on lead vocals, Joey Vera on bass, Jeff Duncan on rhythm guitar and the Sandoval brothers, Gonzo and Phil on drums and lead guitar, respectively. Of the current lineup, Bush and Vera are the two constant members. To date, they have released seven studio albums, one EP, two live albums and one compilation album. Blackie Lawless is an American songwriter and musician best known as the lead singer and rhythm guitarist for the heavy metal band W.A.S.P. Monsters of Rock was an annual hard rock and heavy metal music festival held in Castle Donington, England from 1980 to 1996, taking place every year except 1989 and 1993. It later branched into other locations such as the Netherlands, Spain, Italy, Germany, France, Sweden, Argentina, Brazil, the United States and the former Soviet Union. 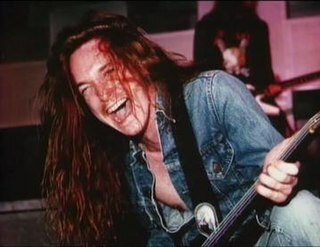 It was Metallica's last full tour to feature bassist Cliff Burton, as he was killed in a bus accident in Stockholm, Sweden during the Damage, Inc. Tour. Clifford Lee Burton was an American musician and songwriter, best known as the bass guitarist for the American band Metallica from December 1982 until his death in September 1986. "The Ecstasy of Gold" is a musical composition by Ennio Morricone, part of his score for the Sergio Leone film The Good, the Bad and the Ugly. It is played while Tuco is frantically searching a cemetery for the grave that holds $200,000 in gold coins. Sung by Edda Dell'Orso, it stands as one of the most well known of Morricone's themes. "The Money Rolls Right In"
A Year and a Half in the Life of Metallica is a two-part documentary about the process of making the Metallica album, and the following tour. It was produced by Juliana Roberts and directed by Adam Dubin. Cliff 'Em All is a compilation of video footage by the American thrash metal band Metallica. It was released in 1987 as a tribute to Metallica's bassist Cliff Burton, who died in a tour bus accident on September 27, 1986, at the age of 24, near Ljungby, Sweden during the European leg of their Damage, Inc. Tour. Its title is derived from Metallica's debut album, Kill 'Em All. The home video also features a performance with former guitarist Dave Mustaine on March 19, 1983, shortly before his ousting from the band for heavy drug and alcohol abuse. A list of concert tours by hard rock band Van Halen. 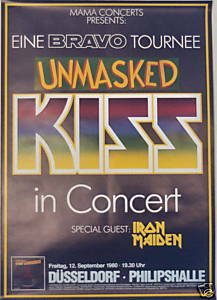 The Unmasked Tour was a 1980 concert tour by the hard rock group Kiss. It was the first tour not to feature original drummer Peter Criss, and the touring debut of his replacement Eric Carr. The Unmasked tour was the first time that Kiss only played in Europe, Australia, and New Zealand, with only one show played in the United States, at the Palladium Theatre in New York. "Cold Gin" returned to the set for the first time since the Rock & Roll Over Tour, and featured Ace Frehley on lead vocals, rather than Simmons who had sung the song on all previous tours on which it was performed. "You're All That I Want" was performed briefly, but was quickly dropped. "Strutter", which had not been performed live since the Destroyer Tour, returned to the set as well. Iron Maiden were the opening act for the European leg of the tour British heavy rock band Girl supported Kiss at Stafford, Bingley Hall. The stage show and costumes, with the exception of Carr and Stanley, were holdovers from the Dynasty Tour. The Alive! Tour was a concert tour by Kiss, in support of their 1975 live album Alive!. At the time of the European leg of the tour the Destroyer album was already released and the band performed songs from that album, but they wore the Alive costumes and had the Alive stage show. At the time, the tour was referred to under the headline "Kiss tour", not "Alive! Tour" or "Destroyer Tour". Tony Nsofor is a Nigerian painter. Nosfell is a French rock musician who performs in a group with Pierre Lebourgeois (cellist) and Orkhan Murat (drummer). His full stage name, Labyala Fela Da Jawid Fel, means "The one who walks and heals". Tadashi Endo is a butoh dancer resident in Göttingen, Germany. Endo is a Japanese national. He studied theatre direction in Vienna before touring Europe giving solo performances accompanied by leading jazz performers. In 1980, he was hired as head of a theater program for the city of Northeim, where he worked until 1986. In 1992, founded the MAMU butoh center in the nearby university city of Göttingen. The center holds performances as well as training students of the dance form and holding an annual festival in the Goettingen Junges Theater. Endo also tours internationally. In 2009, he choreographed Georg Friedrich Händel's opera Admeto, directed by Doris Dörrie and performed at the Edinburgh International Festival. Leader Trucks was a truck-manufacturing company based in Toowoomba, Queensland, Australia. It was established as an initiative of Cyril Anderson and Western Transport. Nearly 2,000 trucks were manufactured between 1972 and 1984. The Kill 'Em All Tour was the first major concert tour by American thrash metal band Metallica. The tour, which was sponsored by their record label, Megaforce Records, was in support of their debut album, Kill 'Em All, released two days before the start of the tour. Metallica supported Raven, Venom and Twisted Sister while supporting acts for Metallica included Anthrax and Armored Saint. Tour setlists consisted of songs off their debut album, cover songs including Diamond Head's "Am I Evil?" 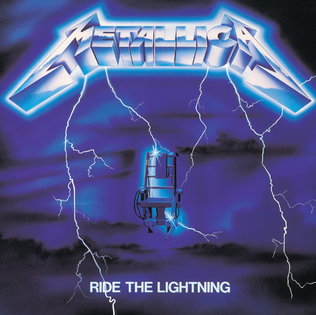 and Blitzkrieg's self-titled song, and songs that would be released on Ride the Lightning. Wilesco is the trade name of German toy company Wilhelm Schröder GmbH & Co. KG, known for manufacturing live steam toys such as steamrollers, traction engines, and stationary steam engines. Highway to Hell Tour was a concert tour by Australian rock band AC/DC in support of the group's seventh studio album, Highway to Hell, which was released on 27 July 1979. 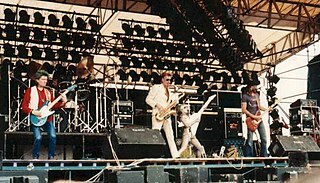 The tour began on 17 August 1979 at Haffman Park in Blizen, Belgium, and continued throughout Europe and North America until it concluded on 27 January 1980 at Southampton's Gaumont Theatre. This was the last tour with Bon Scott, who died four weeks after the tour's completion. If You Want Blood Tour was a concert tour by Australian rock band AC/DC in support of the group's first live album, If You Want Blood You've Got It, which was released on 13 October 1978. The tour began on 10 October 1978 at Moorish Pavilion in Malmö, Sweden, and then continued throughout Europe and North America until finally concluding on 5 August 1979 at the Spectrum in Philadelphia. Zhao Zihan is a water polo player of China. The Pledge Of Allegiance is the national pledge of The Commonwealth of the Bahamas which was written by Rev. Philip Rahming. ↑ Brannigan, Paul. "Metallica: Garage daze". Metal Hammer .